Some of these home remedies on how to stop coughing may be very effective. You can try raw honey. 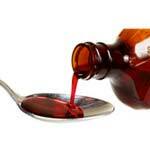 Take several teaspoons throughout the day and this will soothe your sore throat as well as help stop your coughing. You can also try aromatherapy. You can try three drops of eucalyptus oil, two drops of thyme oil, and two teaspoons of soft or melted coconut oil. Mix these together and rub it onto your chest and breathe deeply. This will help to clear your lungs, making it a little easier to breath. If you have tried these remedies and are still unable to come up with a viable solution on how to stop coughing, your condition may be a little more serious than you originally thought. If you have several symptoms of bronchitis, you should see your physician. If your cough has lasted for quite some time, your physician may prescribe some bronchitis antibiotics. These will clear your lungs, and get rid of your infection and you will be feeling better in no time. It is especially important to seek a medical professionals help if you are elderly or a young child or if you have underlying health conditions such as asthma or a heart condition.